Ah, good old tuna bake. I originally learned this in high school and have since tweaked it to make TWO cheap and filling family meals that (usually) leaves leftovers – for $12.50. 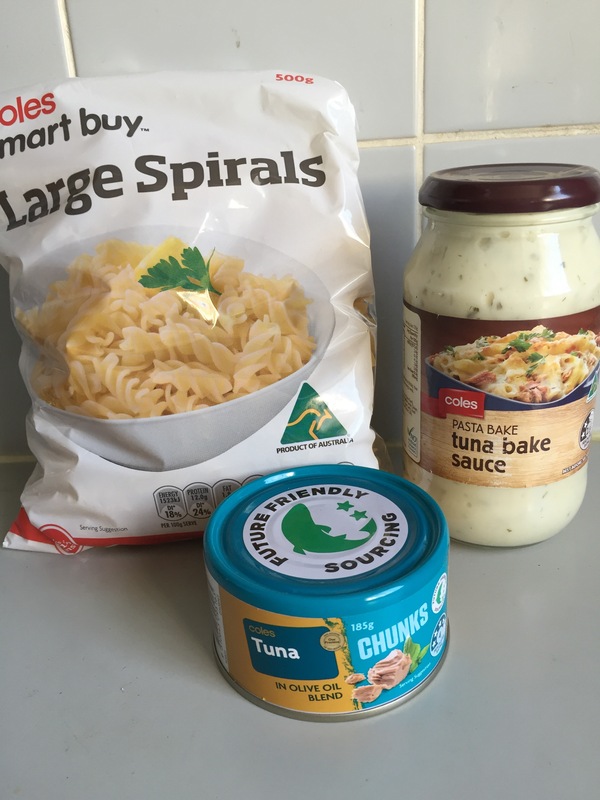 The ingredients are all from Coles supermarkets in Sydney, Australia. Prices will vary but here’s the ingredients. Messy, filling, delicious. Lottie and I love this recipe and I find it to be a quick and filling lunch with leftovers for the next day. 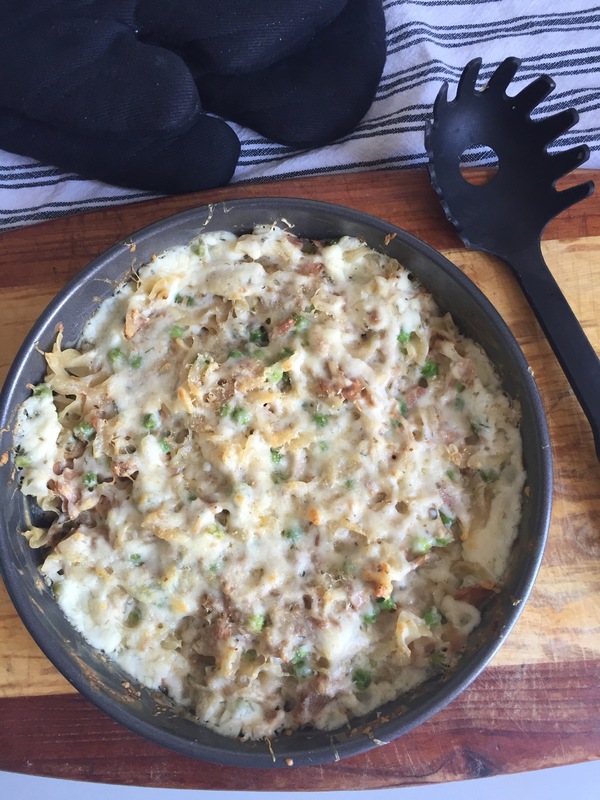 Sadly, my husband hates tuna but that’s ok – more for us! Prepare pasta and broccoli/cauliflower in boiling water until cooked through and drain. If using cheese and breadcrumbs, grate cheese over the mixture and sprinkle with breadcrumbs to give it that golden crunch. Place in an oven pre-heated to 180 degrees Celcius and allow to cook for 15-20 minutes. Serve immediately and refrigerate leftovers in a sealed leak proof container. Left overs best eaten the next day. So that’s it! Two entire tuna bakes for $12.50 is not a bad deal when looking to save some pennies while putting a filling meal on the table.